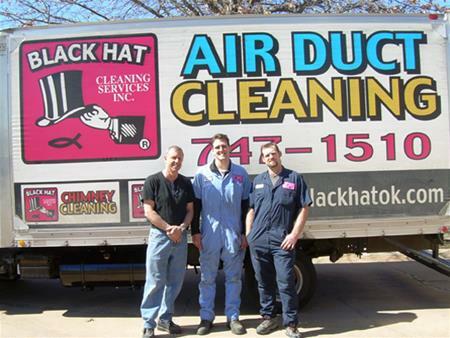 Black Hat Cleaning Services celebrates being in business for over 36 years!! We here at Black Hat Cleaning Services are happy to announce that our 36th year anniversary was in 2013. We have been family owned and operated from the beginning. It all started while David E. Harris was working for Git’n’Go at the 61st and Memorial past location. David founded Black Hat in 1977 and became one of the few chimney sweeps in Oklahoma. His wife, Terri, would go door to door while pregnant with their first child passing out informative flyers. And even with the persistent advertising, Black Hat’s first chimney cleaning didn’t occur until May of 1978. 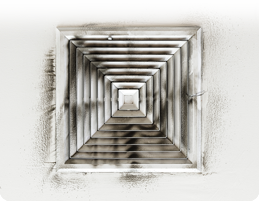 Then in 1983 Air Duct Cleaning and Dryer Vent Cleaning were added to our services. We have had many family members work with us throughout the years. And now, we are co-owned by David E. Harris and his sons, David C. R. Harris and Michael D. Boles. Here are the first and second generations building toward the future for the third generation to keep Black Hat Cleaning Services serving you.